The Grove Brew House isn’t just serving up award winning beers, their kitchen is also pumping out dishes to match the reputation of their brews. The Kingsville, Ontario, restaurant is offering up not just an $28 dinner menu for 2019 Winter Bites Restaurant Week, they’re also serving up an $18 all-day menu. 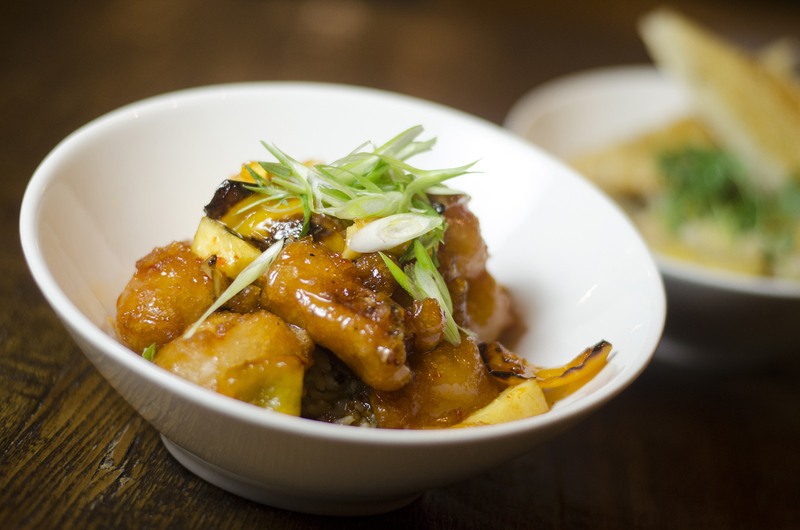 Winter Bites is probably the best week to dine out in and around Windsor, Ontario, and takes place January 14-20, 2019. Spicy Goat Cheese Croquettes from The Grove Brew House in Kingsville, Ontario. Delicious balls of cheese. That’s all the description I need to be sold on them, but, here’s some more detail in case that wasn’t enough for you. 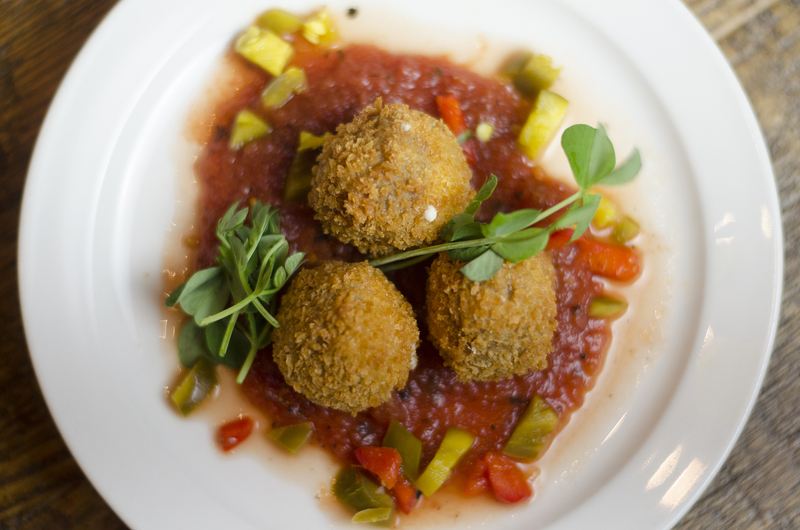 They’re walnut and panko breaded goat cheese and jalapeno croquettes in a fire roasted tomato sauce. Sweet & Sour Chicken from The Grove Brew House in Kingsville, Ontario. It wouldn’t be right for a brewery to serve food without using some of their beer in a dish or two. Now, how about using two different beers in one dish? The Grove uses their George the Ghost beer to batter the chicken breast and then their Division IPA to make the sweet and sour sauce. 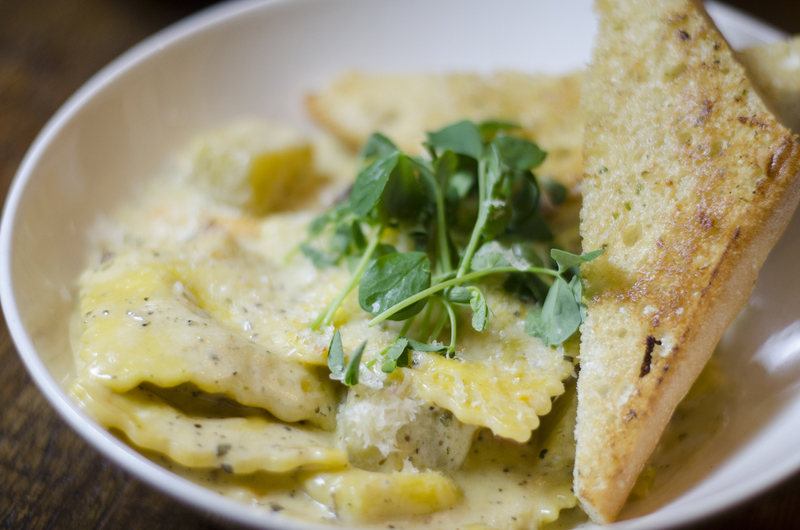 Ravioli from The Grove Brew House in Kingsville, Ontario. A fantastic choice for vegetarians and non-vegetarians alike. This butternut squash ravioli includes roasted beets, enveloped in a sage brown butter cream sauce. It’s served with garlic bread that’s perfect for slurping up the sauce. Apple fritters all day every day at The Grove Brew House in Kingsville, Ontario. 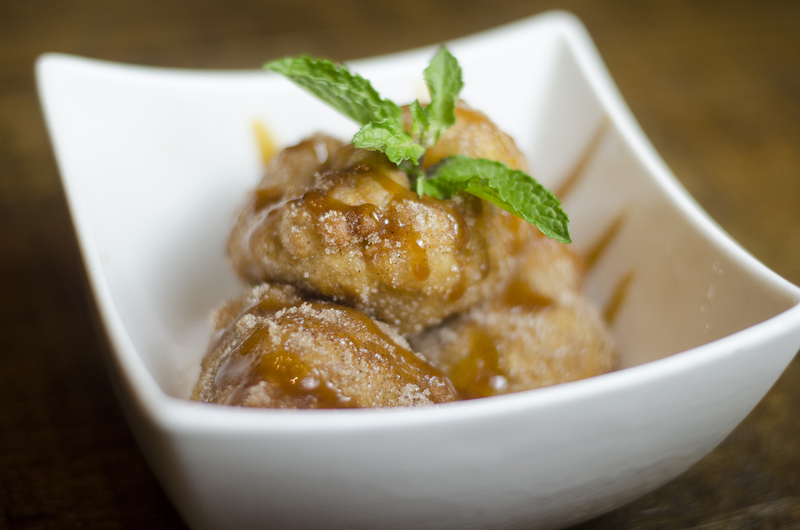 House made apple fritters are always a great choice on a cold, winter day, especially when covered in cinnamon sugar and a caramel wort reduction. 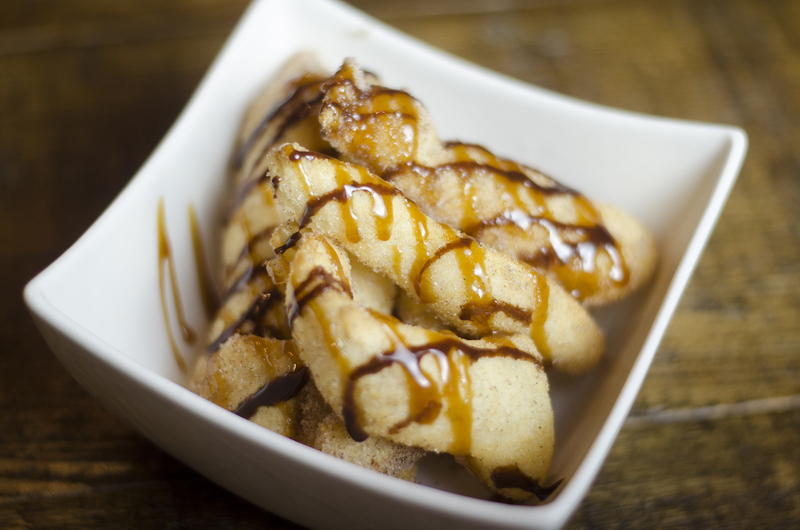 Don’t deny yourself these churros from The Grove Brew House in Kingsville, Ontario. We’re adding another dessert to this list because….well….it’s freakin’ dessert and a second dessert is always an awesome idea! So…BOOM….churros. To view The Grove Brew House’s full menu and those of all the other participating restaurants, visit winterbites.windsoreats.com.